Made of Billet 6061 Aluminum and TIG Welded with Billet Aluminum machined fittings for a proper fitting seal. These tanks were designed with racers in mind to get down the track safely, by sending all your overflowing fluids to your catch tank and not the ground. Each Kit also comes with an aluminum bracket and stainless steel clamps for mounting. 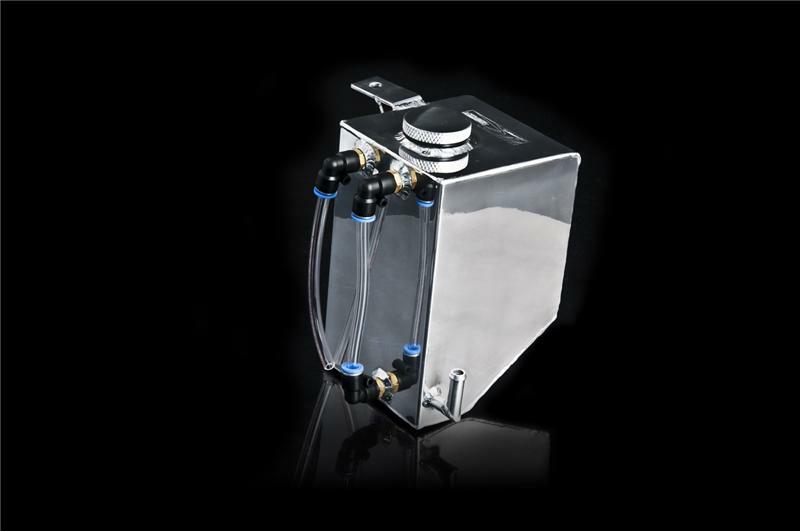 Included in each kit is 3 Feet of Clear Fiber Reinforced Tubing, to route your coolant or Oil Vapors. Vehicle specific tanks are made to fit to OEM bolt holes and require no modifications for installation. Some kits are also available in Neo-Ti Finish.